Mommy's Nest: St. Paul has some of the oddest stuff goin' on! St. Paul has some of the oddest stuff goin' on! 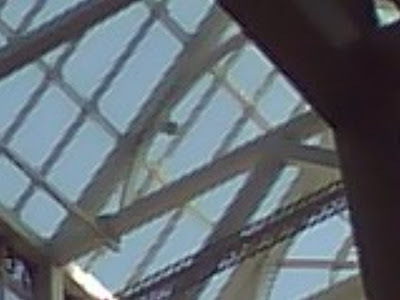 This blog was GOING to be about this balloon in the rafters of Galtier Plaza - a shiny smiley face ballon that flaps in the rafter breezes above the balcony to my office...Stay tuned, it has been there for a month and I am going to take a picture of it every Friday until it disappears. Hopefully the next photo will be better. The one above was taken on my lame phone camera. 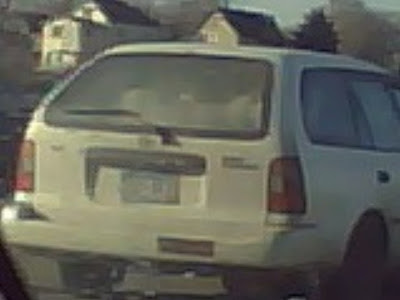 Goats...in a car driving north on 35E. I'm surprised they aren't from Wisconsin. I would have driven 25 miles out of my way...to get that picture. Priceless. hehe. 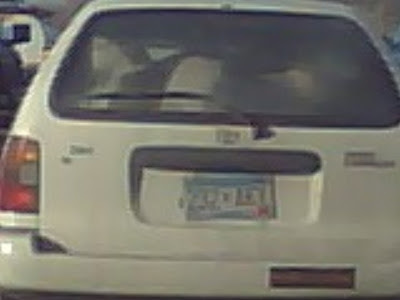 goats stuffed in a toyota corrolla. Def not something you see everyday!! !